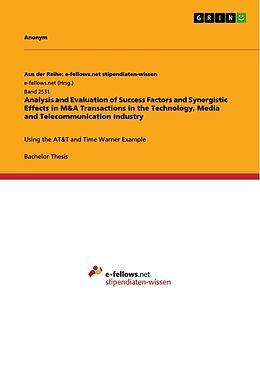 Bachelor Thesis from the year 2017 in the subject Business economics - Investment and Finance, grade: 1, , language: English, abstract: Mergers and acquisitions are one of the most used opportunities to combine businesses and achieve growth inorganically, despite a high failure rate.  The main motive during transactions is the realization of synergies. To achieve those synergies, the mechanisms of those effects need to be evoked by certain success factors during the post-merger integration. A post-merger integration that is executed incorrectly is one of the main reasons why transactions go fail and synergies are not achieved. 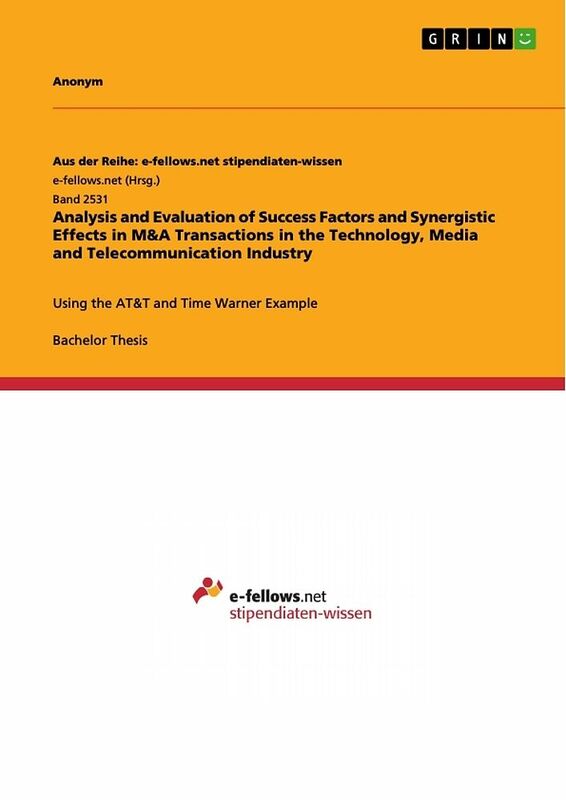 This thesis will examine synergies and success factors for the post-merger integration of mergers and acquisitions in the technology, media and telecommunication industry, focusing on the acquisition of Time Warner Inc. by AT&T Inc. The technology, media and telecommunication industry is currently flourishing, which is evidenced by an increasing number of transactions. Nevertheless, wireless and mobile giants like AT&T are under huge pressure in their traditional barriers of business and therefore depend on a new strategy to diversify outside their traditional barriers of business. For this purpose, AT&T aims at generating further growth in the video and entertainment market through the acquisition of Time Warner. AT&T would not only increase their growth but they would also build up a second foothold since their traditional business is stagnating. AT&T will become the leader in converging technology, media and telecommunication.